Beginning today, all guests aboard Cebu Pacific flights can savor new hot and fresh Asian dishes. Prepared with its new culinary partner, Macrosia SATS Food Industries, the new menu of Cebu Pacific is composed of a wide array of scrumptious Chinese, Japanese, and Korean snacks and meals Chinese, Japanese or Korean delights. This new menu also includes vegetarian options. Among the new line-up is the Beef Bulgogi, a famous Korean dish that is well-loved by Filipinos as its sweet and savory mixture of soy sauce and sesame oil is a taste close to home. Chicken options have two new twists—one with sweet chilli sauce, and another with Japanese sauce and egg—perfect for those craving for a quick Japanese fix. Those looking for a familiar Chinese dish may enjoy the classic fried rice with dumplings, served with a side of vegetables. For lighter options, the Kung Pao Chicken Noodles is another Chinese classic, spiced just right on a bed of egg noodles; while the Korean-style Stir-Fried Noodles uses rice noodles and fresh vegetables tossed in Korean-style sweet sauce. For quick bites, there’s the Japanese Chicken Mayo Sandwich, a triple-decker sandwich with distinctly flavored coleslaw on black bread; and the Seafood Quiche, an egg tart perfectly baked with bits of crabmeat and egg, and a crispy outer crust. Cabu Pacific’s new inflight meals include Chinese, Japanese, and Korean dishes. CEB also showcases two turnovers—one with meaty chicken sausage with cheese, and another that pays homage to the roots of Cebu Pacific—a turnover filled with Cebu-style lechon, cooked with the finest local herbs and spices. As the month-long Super Seat Fest celebration of Cebu Pacific continues, passengers can avail of these new dishes at P100 off, applicable to new and existing bookings within April 1 to September 30. 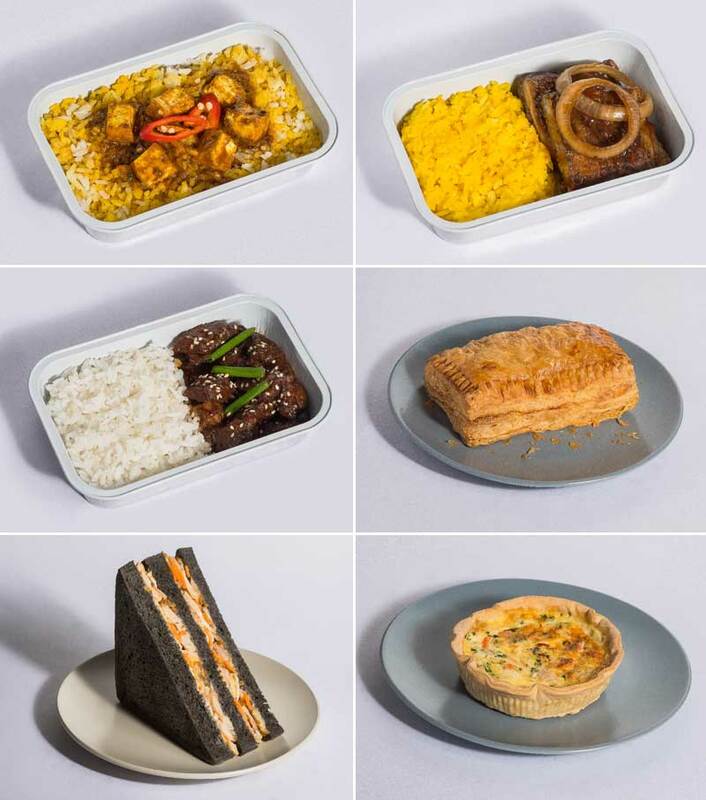 The new on-board meals are available for pre-order upon booking a flight, or managing a booked flight on the Cebu Pacific website. The new on-board palate pleasers are all Halal-certified, and adhere to the Hazard Analysis Critical Control Points system for international food safety. 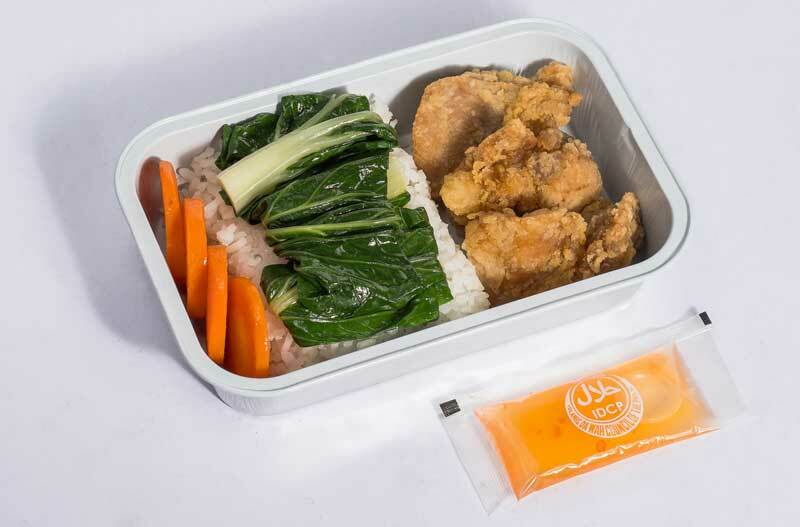 Moreover, the on-board meals come with nutritional and product information, as reference for an increasing number of health-conscious passengers on CEB.